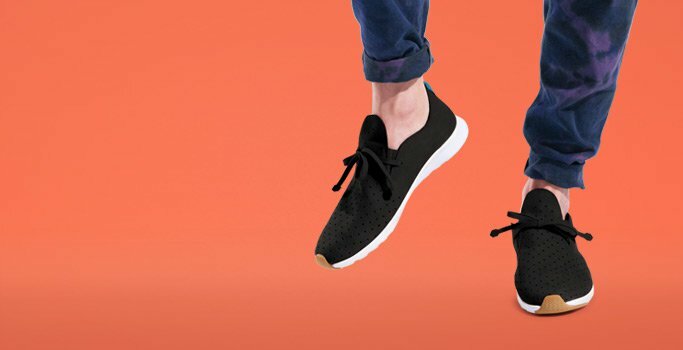 Native Shoes have fast become one of the top providers of flexible, breathable yet stylish footwear, shunning the idea that rubber shoes are confined to flip flops and the dreaded crocs. With our Native Shoes discount codes you can get your hands on a pair of these effortlessly comfortable shoes, for a price you can't argue with. They're here to prove that Crocs may have been a mistake, but that rubber shoes aren't. With their use of EVA, a material that mimics the soft, flexibility of rubber with the added benefits of being waterproof and crack resistant, Native Shoes have created designs that merge practicality and style with effortless ease. With our Native Shoes voucher codes, you can get your hands on some of these practical beauties for a fraction of the price. Whether you're going for the suede look white Native Shoes or the all black Native Shoes, be sure to take advantage of our discounts and get them at a price that's right for you. If you want to keep up with our latest sales, read our in-depth editorial stories, and receive the occasional coupon code, then why not sign up to our newsletter, where you'll get all that and more sent straight to your inbox. Sign up today to get 10% off of your first order from The Idle Man. Plus, if you spend more than £5o on our website you’ll automatically receive free shipping. If your friends are a fan of Native Shoes and fancy a little discount on top of our other ones, then have a look at our Refer a Friend scheme. Simply share your discount code on social media, or invite your friends via email, to send them £5 worth of credit. You’ll then get £5 when they spend £30 or more in their first shop. If you’re lucky enough to still be a student then hop over to our Student Discount page and get 10% off Native Shoes and plenty more brands. Still not enough? Then try waiting for one of our special double discount days and get up to 20% off! But remember to have your valid NUS or student card ready to take advantage of the discount. It was in 2009 that Native Shoes hit the market, impressing customers with their breathable EMA material base and mix of designs, from alternatives to chukka boots as well as plimsoll style shoes. 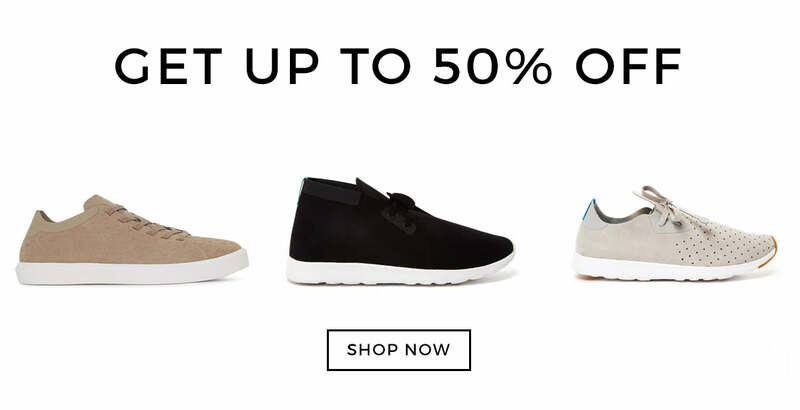 They've fast become the go-to brand for comfortable, modern footwear, and with our Native Shoes discount codes, you can get them for a fraction of the price.